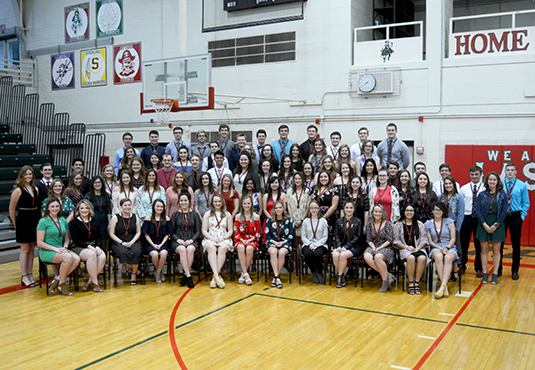 Seventy-seven members of the LaSalle-Peru Township High School class of 2019 were inducted into the LP Honor Society on Thursday morning. 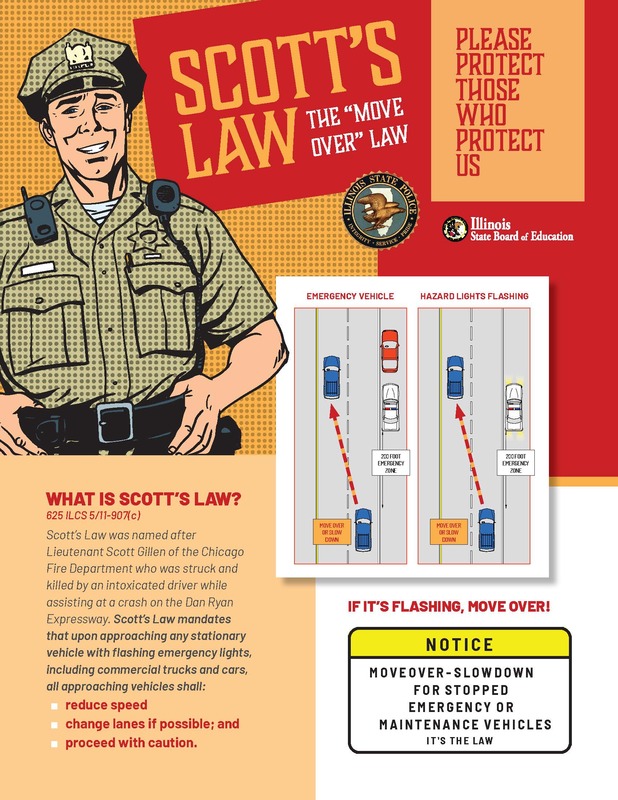 Information about Scott's Law for drivers to protect emergency personnel on public roads. Information on prom times, prices, and photo packages are now available. Some of LaSalle-Peru Township High School’s top academic students were honored during the High Scholarship Legion Honors Program on March 14. Happy birthday to Cristen Clark, Kirsten Low, Skyler Hash, Adam Kofoid, Molly Saylor, and Morgan Shan. Congratulations to the 2019 dodge ball championship team of Cade Piscia, Arianna Donovan, Damian Harrison, Claire Stillwell, Cole Haynes, and Kali Romenelli. The defeated the team of Jalen Depenbrock, Ryan Hartman, Drezden Dale, Jon Lemmer, Austin Godwin, and Gaige Noonan in a 2 game thriller. The team of Bobby Pohar, Adam Kofoid, Cam Bergeron, Jesse Casas, Jordan Strange, and Trevon Hunter finished in a distant third. There will be a Renaissance meeting after school today in the Cavalier Community Room. All members should attend. New members are always welcome. Congratulations to Lauren Klein! Lauren was selected as the National Jostens Renaissance Student of the Month. If you are interested in trying out for the 2019-2020 Cheerleading Season, please take note of some important dates coming up. There is a mandatory Parent Meeting on April 23rd at 6pm in the Library. Open gyms will be from 4-6pm on April 30th, May 2nd, May 7th, and May 9th. Tryouts for Varsity will be on May 14th. All Open Gyms will be held in North Balcony and are mandatory for Varsity and JV cheerleaders. The Varsity Tryout will also be in the North Balcony. Hope to see you there! There will be an Art Club Meeting on Thursday, April 25 from 2:45-3:45 in Room 224. There is a mandatory sophomore board meeting in room 308 Thursday at 7:25. Attention L-P Book Club members: The L-P Book Club will be meeting on Thursday morning, April 25th in the library at 7:15. The book this month is reader's choice. Do you have a friend who likes to read and may be interested in joining the book club next year? Please bring your friend along for an interesting and fun discussion and treats! Attention GSA: There will be a meeting TODAY after school in room #331!! And of course, there will be treats! Students in SPARC will take a trip to Machinery Maintenance on Wednesday, April 24th. Please report to the cafeteria at 7:35. Attention Students: Renaissance has emailed Sir Ranier, Tireless, and Staff nominations to all students. The Sir Ranier Award is given to a coach or sponsor who has shown dedication and commitment to their sport or club at LaSalle-Peru Township High School. These individuals go above and beyond to provide their athletes or members with an environment that encourages and supports sportsmanship, citizenship, community spirit and morale. The Tireless and Staff Award are given to a Faculty a Staff member who have shown dedication and commitment to the students of LaSalle-Peru High School. These individuals go above and beyond daily to provide our students with an environment that encourages and supports excellence. Hey Cavs! Faculty and Staff will be competing for LaSalle Peru High School’s first ever official cutest pet, and YOU have the power of determining the winners. From April 23rd through April 25th, you will have access to all of the cutest pet pictures submitted. You will get one vote per category, so vote wisely. Winners will be announced on April 26th and will receive prizes, as well as bragging rights. Check your email for a link to the contest. There will be a meeting for all girl going out for basketball Wednesday morning at 7:30 a.m. in room 146. Attention Science Club: our next meeting will be Friday, April 26th right after school in room 306! A representative from Northern Illinois University will be here on Thursday, April 25th during 2nd hour. You can sign up in the Counseling office to meet with this representative. Seniors: please remember to be checking the LP counseling website under the academics tab on lphs.net for the most up-to-date scholarships. There are also some recent job postings on the lphs.net website under the academics tab and then Counseling. Happy birthday to Paiziah Chounard, Dana McDonald, Tyler Wrobleski, Ms. Kapetaneas, Brice Fundell, Carly Sluder, Michelle Windy, and Mrs. Sell. 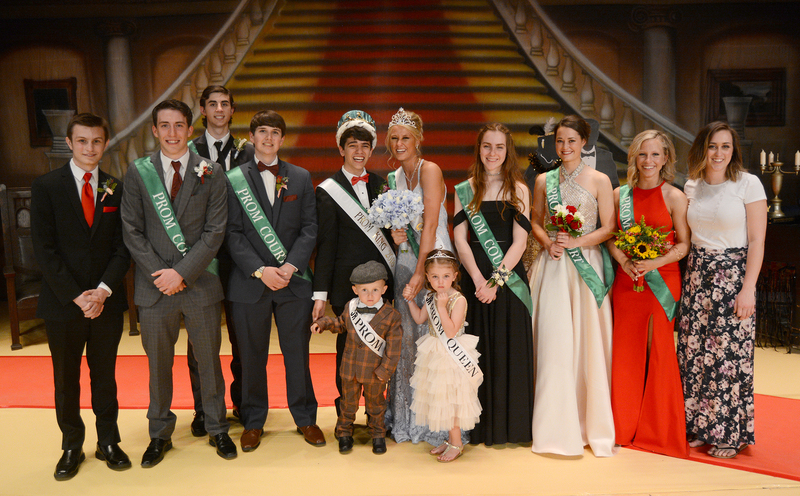 Caleb Burrell, Itzia Casas, Kyle Lynch, Christopher Madden, Alexander Pozzi, Ashley Sanchez, Isabella Weber, Drew Verway, Haley Schroeder, Seth Antle, MaKinzie Brown, Paige Kirkman, Allyssa Payton, Macy Anderson, Kendal Cole, Damian Sanchez, Diego Sanchez, Alexander Sarantinos, Zoe Sarantinos, Tatum Herrera, Emily Bonnell, Josee Ladzinski, Caitlin Obmann, Cameron Martin, Graciela Mondragon, Brianna Pijanowski, Parker Swiskoski, Ms. Loving, Mr. Glupczynski, Mr. Medina, and Mr. Stevenson. Students will be off on Monday, April 15 through April 22nd. Have a wonderful Easter and spring break everyone! Purchase tickets now for "Thoroughly Modern Millie" at LPHS on March 29, 30, & 31, 2019.